The pop superstar was slapped with legal action by photographer Jose Osmin Hernandez Duran in 2013, after allegedly clashing outside a shopping mall in Southern California in 2012. In the court papers, Duran's lawyer, Steven Madison, accused Bieber of kicking and punching his client, leaving him with severe emotional distress, after allegedly taking issue with having his picture taken while he was out with his then-girlfriend, Selena Gomez. Gomez had been expected to testify at the trial about what she reportedly witnessed during the scuffle, but on Wednesday (16Mar16), the day the trial had been set to start, Madison revealed the suit had been resolved. Details about the settlement have yet to be revealed, according to The Associated Press, but Duran had been seeking undisclosed monetary damages. Bieber's attorney, Howard Weitzman, has declined to comment on the news. 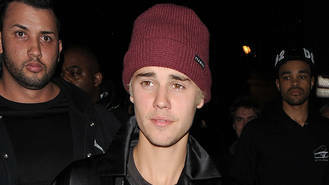 It's the second paparazzi suit Bieber has settled in recent months after previously reaching a deal with cameraman Walter Lee in December (15), amid claims he had been left with serious injuries after he was struck by the singer's Ferrari in Los Angeles in 2013. However, the 22-year-old still faces a legal clash with Florida snapper Manuel Munoz, who alleges the pop star ordered his bodyguard, Dwayne Patterson, to corner him and beat him up during an incident in Miami Beach in 2014. Bieber has been told he must sit for a deposition in relation to the altercation by 31 July (16).